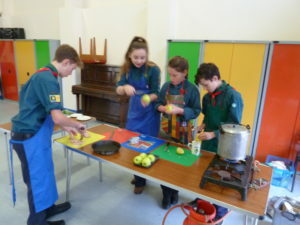 A team of 4 scouts won the Deben District Cooking competition on Sunday against seven other teams. 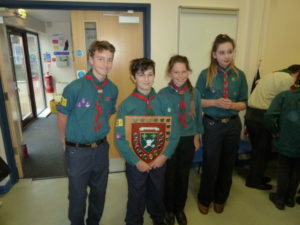 Well done to Kate, Olivia, Alfie and Isaac. This is the 5th time we have won the shield in 10 years.